Safety is paramount when dealing with Liquid Nitrogen. Here at Boland Cryo we specialise in the delivery and application of Liquid Nitrogen and adapt our skills to meet the needs of our wide range of customers. Boland Cryo, an Irish owned and run company, has come to recognise that due to Liquid Nitrogen's very nature, our customers need a fast, efficient and reliable service. 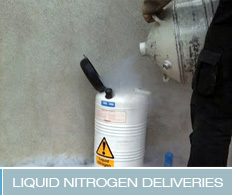 We value all of our customers and understand the importance of them receiving a Liquid Nitrogen delivery on time. Boland Cryo has an experienced and dedicated team, led by Elton Boland, who has over 15 years experience in all aspects of cryogenic services. These services include the delivery and application of Liquid Nitrogen to hospitals, laboratories, universities, doctor surgeries, clinics and the AI industry. Our team will also maintain equipment and advise you when your equipment needs updating, or simply replacing. 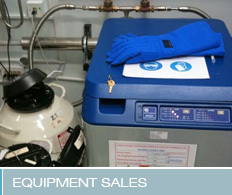 Boland Cryo can provide you with Liquid Nitrogen related equipment and accessories at competitive rates. 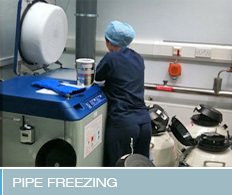 We also specialise in the field of Pipe Freezing and Shrink Fitting. 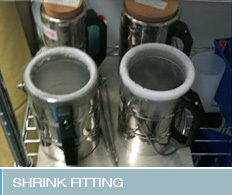 Reassure staff by booking our short presentation about safe handling and safe storage of Liquid Nitrogen. For a fast, friendly and efficient service, contact us immediately and order your Liquid Nitrogen today. Our prices are extremely competitive and we offer a safe and reliable service. Our trained specialists are always on hand to help.